Happy weekend! Just wanted to stop and share this super adorable look I wore to my birthday dinner. I'm not one to have parties and all of that, I prefer intimate times on my day specially these days where my health isn't at its best. 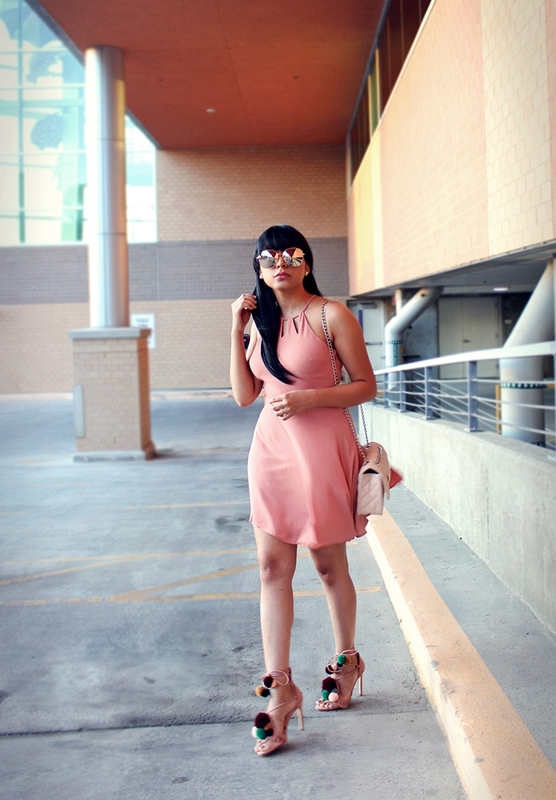 I chose this circle halter dress in this beautiful rose color with a hint of peach which sort of reminds me of Jefree Star lipstick "Rose Matter" hence the name of this post. Thank you so much Genece for the nice message. I hope I recover fully soon too! Thanks for stopping by!